Historical Christianity | J.W. Wartick -"Always Have a Reason"
Perhaps the most interesting portion of the work is English’s discussion of the historiographical difficulties related to unearthing the historical Nicholas of Myra. The difficulty with discovering the “real Santa Claus”–Saint Nicholas–is compounded by the fact that Nicholas of Myra (the Nicholas in question) is often confused with Nicholas of Sion (10; 80; 120; 174). Historical accounts of the life of Nicholas have often conflated these two persons, which means historians must extract them from each other in order to make an account of either. 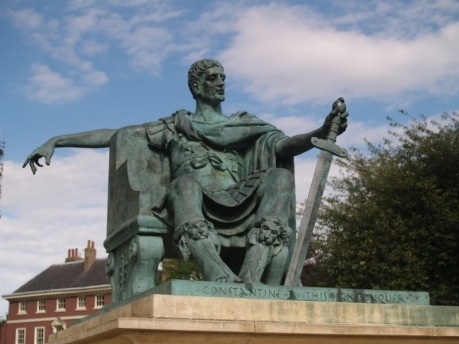 English confronts the possibility that Nicholas did not exist–a possibility put forth by some scholars, in fact–head-on by noting the multiple, independent sources for his life. Although Nicholas did not leave behind a legacy of his own writings, the extant evidence, argues English, is enough to acknowledge his existence as well as a historical core of stories about his life (11ff). English does a great job of reflecting upon the apparently historical narrative while also drawing out the legends and apologetic tales which grew up around the narratives. Throughout the book, he reports a number of stories related to the life of Nicholas of Myra. He reports these stories seemingly in order of legendary development. For example, the famous story of Nicholas’ gift of gold to three women in need (about to be sold into prostitution) received more embellishment as time went on (57ff). However, English does not always do a great job of making the distinctions clear when these various types of tales are discussed. Part of this is probably due to the historiographical difficulties noted above, but it would have been nice for English to at least offer his opinion regarding the stories he related as to which he felt might be accurate as opposed to inaccurate. At some points he does, but at others he simply offers a series of increasingly surprising accounts without any commentary as to the possible historicity of the accounts. A central part of the work focuses upon the council of Nicaea and the famous incident of Nicholas’ alleged slapping or punching of Arius or a different heretic (Arian) at the event. English argues that it is unlikely that it would have been Arius, because Arius was not a bishop and so likely would not have been present at the council itself (101-107). Moreover, English believes that a different story, in which Nicholas reasons with an avowed Arian to change his view, is more likely the historical background for the story (107-109). Nicholas’ own place at the council is disputed, but his orthodoxy is acknowledged by all his biographers, and it is likely that he defended the orthodox position at the council itself (107ff). Apart from his participation at Nicaea, Nicholas also, of course, performed the basic functions of a bishop, which at his time included helping to resolve issues in Myra and the surrounding area (115ff). He helped with the struggle against pagan belief and practice, and at this point some of the stories and legends of Nicholas of Sion were often intermixed with those stories of Nicholas of Myra (120-125). English’s work also draws out the way that Nicholas of Myra has been adapted for multiple purposes and occasions. Whether this is through the adaptation of his apparently real, historical life to various theological discussions (including Aquinas) or legends which were developed to supplement his legacy and individual viewpoints, Nicholas’ story continues to have widespread appeal. 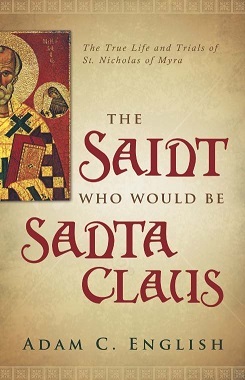 The Saint Who Would be Santa Claus is an interesting read on a compelling man. Perhaps the most interesting part is the frequent fusion of myth and legend with the historical account. Those interested in the life of the “real Santa Claus” should immediately grab the book for their collection. Adam English, The Saint Who Would Be Santa Claus: The True Life and Trials of Nicholas of Myra (Waco, TX: Baylor University Press, 2012). Saint Nicholas- A Christian life lived, a story told– I wrote about the interplay between myth and reality in the stories about Nicholas. I wrote about how the myth of Nicholas actually bolsters the Christian worldview by pointing toward our longing for the ideal. Be sure to check out the page for this site on Facebook for discussion of posts, links to other pages of interest, random talk about theology/philosophy/apologetics/movies and more! (which means, God with us). Matthew 1:28 ESV. Familiar words to most Christians, aren’t they? Along with His Death and Resurrection, the virgin birth of Jesus is among the most celebrated and unifying events in all of Christianity. Nativity scenes can be found in front of Roman Catholic, Lutheran, Baptist, Methodist, and all sorts of churches of all denominations. The virgin birth is counted as among the fundamental doctrines of Christianity, and was important enough to be counted as one of the twelve articles of the Apostolic Creed. For centuries, the account that Jesus Christ was born of a virgin woman, Mary of Nazareth, was undisputed, at least as far as any known challenges can be documented. But, then, along came the Enlightenment. With it came the idea that science and reason were the test of Scripture and all truth, and not the reverse. Therefore, if Scripture says that Jesus was born of a virgin, and that is not logical nor scientifically provable, then it must be rejected. Thus, the Jefferson “Bible” excludes any reference to the virgin birth as well as Jesus’ miracles, Deity, resurrection, etc. As time went on, through the historical critical method and other destructive methods of using reason not to teach but to judge Scripture, the Enlightenment principle of reason and science over Scripture slowly infiltrated the thinking of many churches. Surveys confirm this infiltration. Such hypocrisy and blatant deceit is unworthy of anyone, let alone one who claims to proclaim the Word of God and represent Him to the people. yet such is the state of much of the clergy, as indicated by the above polling figures. No wonder the Church is in such disarray, and seems so powerless in the world today! If Christianity is only a “nice” way of life that is only about love and compassion, then I suppose the virgin birth is not so essential, But if Christianity is an intimate and personal relationship by faith with the Creator of the Universe, then Who that Creator is makes all the difference. And if being born of a virgin is something He says about himself, even once, in His Book, then it might be best if we believe it. After all, wouldn’t you like to know a bit about, say, the pedigree of a dog or horse that you were to buy, or even more so, wouldn’t you like to know all about a future spouse that you profess to love before marriage? (Please forgive the analogy, which is not meant to cheapen God, spouses, dogs, or horses). The virgin birth of Christ—and I would say, the historical fact that Jesus was conceived by a miracle like unto creation itself—does not travel alone. It ties intimately into other doctrines-the Holy Trinity, the Deity of Christ, the substitutionary atonement, the inspiration, inerrancy, and infallibility of Scripture, and more. “Scripture cannot be broken”, Jesus said in John 10:35. Even so, the most basic teachings of the Christian faith cannot be broken off and accepted like items on a buffet table. They are all one. Accept all of them-or none of them. That is the challenge that the catechumen, the seeker, the growing disciple of Christ is faced with. Finally, you see, the importance of the virgin birth is found, like all things, bound in the Person and Work of Jesus Christ. As far as the prophecy quoted by Matthew, namely Isaiah 7:14, much ink has been spilled on this by scholars with more degrees than I have. Some modern Bible translations, notably the NRSV, CEB, TEV and others use “young woman” to translate the Hebrew word almah. Others, such as the NASB, ESV, NKJB, TNIV (=NIV 2011), use the more traditional “virgin.” The LXX also translates the word “virgin.” While the matter is not as simple as some might make it, certainly I would think that the Septuagint scholars would have known Hebrew and Greek well enough to have chosen a different word besides the Greek word for “virgin” if “young woman” would have been indicated. They had no agenda to support a virgin birth or not. The same cannot be said of some modern translators. The sainted Dr. William Beck wrote a study on this subject, available at www.wlsessays.net/. Human reason helps us put all of these things together systematically from Scripture; but human reason cannot accept and believe them itself. That, too, is a special creative work of the Holy Spirit. What a delight to know that God wants everyone to know Him as He reveals Himself in Scripture. It is through the very words of Scripture that God creates faith. Through those Holy Spirit given and empowered words He keeps one in the faith. As I stand in awe that God chose this supernatural way to join our human race, so I stand in awe that He created faith in my heart, and has kept that faith to this day. All glory and praise to Him forever! Finally, though, the virgin birth is a matter of faith. For the individual, it is a matter of personal faith whether one accepts what Scripture says about the miraculous conception and birth of Jesus or not. But the virgin birth is also a matter of THE Faith; that is to say, it is an article of Christian doctrine that is beyond dispute. To accept it is to accept a fundamental, essential doctrine of all Christianity. To reject it is to put one outside the bounds of the Christian faith. I pray that this Advent and Christmas season you will join with me, and with all the Christian world, in celebrating the supernatural way that God chose to enter our human race to bear our sin and be our savior. Rev. Kent Wartick is the pastor of Faith Lutheran Church in Kent, Ohio. He has been preaching for over 26 years in the Lutheran Church – Missouri Synod. He’s my dad, and an inspiration for the faithful. Jesus’ wife? A survey of responses. One needs only to ask the question, “Did Jesus exist?” in order to spark intense debate amongst skeptics and Christians. A simple search for the question online turns up any number of non-professionals who boldly assert that there was no historical Jesus, or even that the evidence that Jesus was a myth outweighs the evidence that he was a real man. There are even a few scholars who allege that Jesus never existed. Perhaps the most frequently-cited “evidence” that Jesus never existed is the purported evidence of parallels in pagan and mystery religions. The notion that legendary or historical parallels can discredit a historical account is itself on shaky epistemological ground. If, however, one were to take seriously the notion that parallels discredit a historical account, vast swathes of history would also evaporate into skepticism. Simply put, if the hyper-skepticism related to parallels about Jesus were applied to all of history without bias, historical inquiry would be undermined. In order to draw out the implications of parallelomania for what are generally acknowledged as historical accounts, the rest of this study will start off with a tongue-in-cheek investigation of one historical event (the wreck of the Titanic), emphasizing the parallels between it and a fictional account; then an inquiry into historiographical investigation will be launched in relation to the methodology which utilizes alleged parallels and their connotations for historical study. Thus, the following study will show that the methodology of those who argue from alleged parallels to the non-existence or “legendary hypothesis” of Christ is mistaken, rather than arguing that individual parallels are wrong. There is a tradition within Christian apologetics of pointing out the absurdity of rival positions, sometimes even by satire. Essentially, by showing that an opponent’s method or conclusions lead to absurd conclusions about things nearly everyone agrees upon, the apologist can discredit the method or conclusion that is under investigation. The following section will be an exercise in this strategy. 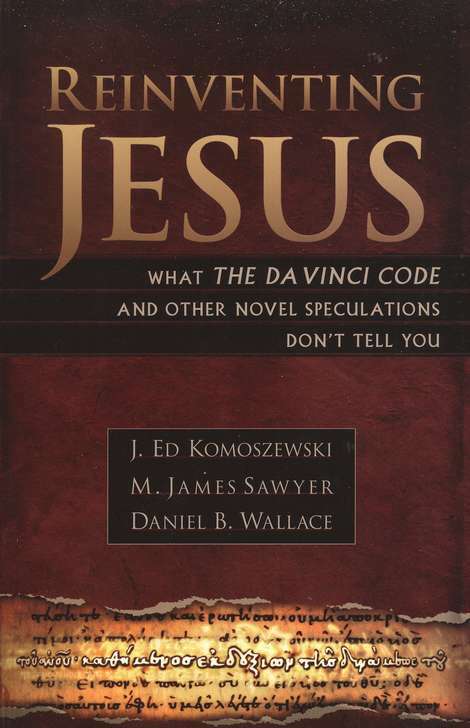 Note that the author is satirically employing the methods found in several sources of supposed historical inquiry into the existence of Jesus. It is clear that the wreck of the Titanic is a mythic tale which has been foisted upon history. 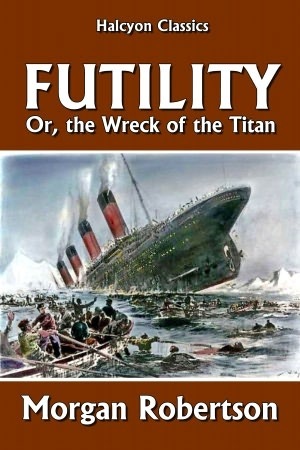 Few people know that Morgan Robertson’s novel, Futility, or the Wreck of the Titan, which was written in 1898, 14 years before the RMS Titanic sank, outlines a highly telling, fictional account that has any number of parallels to the purported wreck of the Titanic. First, note the number 14’s significance: the Titanic hit an iceberg on April 14th, 1912! The book itself discusses the wreck of the Titan, which a child could see is very similar to Titanic. Consider the first line of Robertson’s work: “She was the largest craft afloat and the greatest of the works of men.” The Titanic was supposedly the largest ship afloat at the time of her voyage. The captains on both ships had the same name, Robert Porter. Not only that, but both the fictional and supposedly historical ships had three propellers. Both were said to be unsinkable. Both ships carried the minimum number of lifeboats required by law and therefore both ships lost an enormous number of passengers when sunk. Finally, the clinching piece of evidence is that both the Titan and the Titanic were sunk by hitting an iceberg. From these evidences one would not be hard-pressed to conclude that the story of the Titanic is merely the plot of the Titan with historical embellishments. Consider the parallels once more. From the description (unsinkable) to the propulsion system (three propellers); from the lifeboats to the size of the ship; from the names of the ships to the very means of destruction, the Titan and Titanic are the same. Furthermore, numerology is inherent in the Titan/Titanic narratives. The 14 years between the two stories echoes in the alleged date of the wreck of the Titanic. Therefore, in the case of the Titanic, where virtually every detail of the story fits the “shipwreck” archetype, with nothing left over, it becomes arbitrary to assert that there must have been a historical event lying behind the myth. Setting aside the satire, it is clear that the example of the Titanic used here is only the tip of the iceberg. There are a number of other historical accounts and persons one could do a similar “study” upon. But what does such an investigation prove? The notion that parallels can somehow discredit a historical account is on a very faulty ground. First, the notion of “parallel” is highly subjective and can mean different things to different readers. “One tends to read into accounts the commonalities one is looking for.” If one assumes that a text is mythical—if one assumes the text is not trustworthy or at least had other sources or was derived—then one will find exactly that which one has assumed in the text. Samuel Sandmel writes, “I am not denying that literary parallels and literary influence, in the form of source and derivation, exist… I am speaking words of caution about exaggerations about the parallels and about source and derivation.” He goes on to argue, regarding alleged parallels as derivations in Paul’s writings, “[T]o make Paul’s context conform to the content of the alleged parallels is to distort Paul… if we make him mean only what the parallels mean, we are using the parallels in a way that can lead us to misunderstand Paul.” Similarly, if readers look at a historical account—even one that they believe only alleges to be historical—and make it mean only that which the parallels allow, then they distort the text’s meaning. Indeed, it can lead one to look only to the parallels for meaning rather than to the text itself. A second problem with the kind of parallelomania found in some skeptics’ looks at Jesus and alleged sources for the Jesus “legend” is that they have discounted many principles of historical inquiry. Historians begin by looking at the conventional meaning of a text. They also look at the historical context of the text in order to interpret the text. However, in order to do this accurately, they must be aware of their own biases and be open to correction. It is of the utmost importance for historians to consider the complexities of a historical picture as well as the links between causation, contingency, and counterfactual reasoning in historical research. To put it more precisely, history is not a simple task in which one can conclude with certainty the causes of a past event. Rather, historians must consider the interdependency of variables in a historical event and avoid the temptation to oversimplify a historical account in an attempt to “clean it up.” Those who seek to reduce the story of Jesus “without remainder” to legendary figures have fallen victim to a historiography of their own invention. They’ve followed their intellectual biases to their own conclusions and failed to take the texts into account. Those who argue that the Gospels are discredited because of alleged parallels also utilize a poor, unjustified inference. Even were there a huge number of parallels between Jesus and the supposed mystery (and other pagan) religions, these would not, of themselves, discredit the account of Jesus as historical. Consider the “Titanic Myther” in the satirical account above. The myther seeks to show that, due to all the parallels one can draw between the Titan and the Titanic, the latter is derived from the former. But by what principle of reasoning does it follow that similarities show derivation? Is there a way to determine when a document is derived from another? What is the cutoff point at which we know that a supposedly historical event can be said to be legend? None of these questions is intended to say that historians can never accurately say that a document—even one that claims to be historical—is legend. Rather, the question is whether the Gospels are shown to be legend by supposed parallels. If one holds that they are legends, then how is it that one comes to the conclusion? One can see by looking at most of the purported “studies” online that the conclusion is most often reached simply by citing a number of alleged parallels to Jesus across differing accounts, but of course that won’t do. One would have to show that these parallels are accurate in their claims (and many of them are not), while also showing that the parallels are not mere coincidences, like those between the Titan and Titanic. Finally, the question remains: what rule of logic or historical inquiry yields the outcome that a prima facie historical account is in fact legend because there are legendary parallels? Finally, there is the question of the burden of historical proof. The burden of proof is upon the one making the claim, and in this case, people claim that Jesus was a legend. That is a positive claim in need of evidence. Unfortunately, the argument is most often made in a manner which simply dismisses counter-evidence while vastly overstating and sometimes even lying about the parallels which are found in other religious figures. The dismissal without argument of counter-evidence, combined with a sometimes blatant disregard for historical accuracy radically undermines the case of those who claim Jesus was a legend based on parallels. Hypotheses about historical events must take into account the entire body of evidence. The theories which try to reduce Jesus to a legendary figure alone do not take into account the entire body of evidence, and therefore fail the test of historical credibility. Suppose, for the moment, the numerous alleged historical parallels to Jesus were true. How, then, would historians account for the willingness of the disciples to go to their deaths for their beliefs in the truth of the Gospel accounts? What of the Pauline epistles? What of the archaeological evidence and extra-biblical documentation about the life of Jesus? By reducing their historiography to a mere shadow of that which is used in standard historical studies, those who argue that the parallels of Jesus discredit the Gospel accounts have failed the test of explanatory scope for their theories. Like the “Titanic Myther” above, who didn’t take into account the photographs of the wreckage of the Titanic or the numerous firsthand accounts of her voyage, their theory cannot begin to account for the above questions—it does not cover the whole body of evidence. The “Jesus Legend” is a pure figment of their own imaginations–one which is not backed by historical inquiry. Just like the “Titanic Myther” above, who drew upon disparate, unconnected, and self-invented (the reader may have noted one such example in the satirical section above) connections and connotations to prove his point, those who hold that Jesus never existed, or that the Gospel narratives are reducible to legend have fallen into the trap of parallelomania. In their search for meaning, they have found exactly that which they set out to find. By rejecting the standard methods of historiography and embracing a hyper-skeptical approach to the Gospels, those who argue from parallels to the non-existence of Jesus become caught in their own arguments. Without any kind of historiographic base, their theories are trumpeted as unassailable facts. The study that has been presented here reveals that rather than using sound historiographic methods, these hyper-skeptics have fallen into historical madness. Once one applies their method to widely acknowledged historical facts, history collapses in upon itself. In short, the way of parallelomania leads only to madness. All About Horus– in-depth analysis of Horus as a potential parallel for Christ. Also, follow the links for discussions of other supposed parallels. See the next link. Evidence for Jesus and Parallel Pagan “Crucified Saviors” Examined– More supposed parallels examined. Zeitgeist Part I– a fairly thorough rebuttal of the movie. Robert Price, “Christ a Fiction.” Infidels.org. 1997, http://www.infidels.org/library/modern/robert_price/fiction.html. Mark Thomas, “Did Jesus Really Exist?” Godless Geeks. 2011. http://www.godlessgeeks.com/JesusExist.htm. Robert Price, Alan Dundes, and others are cited in Paul Eddy and Gregory Boyd, The Jesus Legend (Grand Rapids, MI: Baker, 2007), 136ff. Eddy and Boyd dedicate a chapter to rebutting such claims in The Jesus Legend, 133ff. Examples of those who use this evidence are in abundance, for example: Robert Price, “Christ a Fiction”; Mark Thomas, “Did Jesus Really Exist?”; Jim Walker, “Did a historical Jesus exist?” No Beliefs. 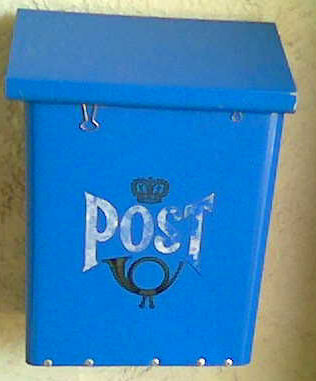 22 April, 2011. http://www.nobeliefs.com/exist.htm. Following Samuel Sandmel’s study of Parallelomania, “We might for our purposes define parallelomania as that extravagance among scholars which first overdoes the supposed similarity in passages and then proceeds to describe source and derivation as if implying literary connection flowing in an inevitable or predetermined direction.” (Sandmel, “Parallelomania” Journal of Biblical Literature 81, 1962: 1-13, 1.) I came upon this source independently of Eddy and Boyd, but am pleased that they cite this excellent paper as well. Again, for a study of these supposed parallels, see Eddy and Boyd, The Jesus Legend, esp. 133f; see also the excellent study in J. Ed Komoszewski, M. James Sawyer, and Daniel Wallace, Reinventing Jesus (Grand Rapids, MI: Kregel Publications, 2006), 219-258. Perhaps the most interesting and humorous of these can be found in Richard Whately, Historical Doubts Relative to Napoleon Bonaparte (1819), where Whately applies Humean skepticism about the historical Jesus to Napoleon Bonaparte with great success. This study is not intended to be a comprehensive refutation of the sources which have already been cited. However, by showing the flaws in historical methodology, it seeks to show that those who ascribe to the non-existence of Jesus due to parallels are starting off from a flawed position. Morgan Robertson, Futility, or the Wreck of the Titan, 1898. This Day in History, April 14th, The History Channel. http://www.history.com/this-day-in-history/rms-titanic-hits-iceberg. Robertson, Futility, Kindle location 15. “Historic Images from the Titanic Sinking” Times Union, 2012, http://www.timesunion.com/news/slideshow/Historic-images-from-the-Titanic-sinking-41504.php#photo-2803535. “The Titanic: All About the Ship” Titanic Facts, 2012, http://www.titanicfacts.net/the-titanic.html. Robertson, Futility, Kindle Location 15; “Sinking the Unsinkable” 2005, http://www.snopes.com/history/titanic/unsinkable.asp. Robertson, Futility, Kindle Location 32; “Titanic Lifeboats” Titanic Facts, 2012, http://www.titanicfacts.net/titanic-lifeboats.html. “The Titanic Iceberg” Titanic Facts, 2012, http://www.titanicfacts.net/titanic-iceberg.html; Robertson, Futility, Kindle Location 329. The wording here intentionally parallels that of Robert Price at the beginning of this study. A search on Bing of “weird parallels between fiction and history” turns up millions of results. Many of these parallels are extremely thoughtful and creative, and demonstrate parallelomania (intentionally) in a perfect way. No pun intended in relation to the Titanic. Or was it the Titan? Sorry. One of the more popular historical examples is to compare Abaraham Lincoln to John F. Kennedy—in particular, the stories of their assassinations. A skeptical treatment investigating these parallels (while still acknowledging that many of them are parallels) can be found at “Linkin’ Kennedy”, 2007, http://www.snopes.com/history/american/lincoln-kennedy.asp. Boyd and Eddy, The Jesus Legend, 141. There are indeed writings on the internet which allege, for example, that Robertson was “inspired” to prophesy the wreck of the Titanic in his novel. This is an example of parallels dictating not only the history but also the interpretation of a text. See “Inspiration 1: Futility, or the Wreck of the Titan” http://www.light-eternal.com/Titan.htm/. C. Behan McCullagh, The Logic of History (New York: Routledge, 2004), 18. McCullagh, The Logic of History, 24-26. John Lewis Gaddis, The Landscape of History (New York: Oxford, 2002), 71ff. Gaddis, The Landscape of History, 102-103. Using the terminology of those who denote themselves “Jesus Mythers” who deny the historical existence of Jesus. Eddy and Boyd evaluate many claims in The Jesus Legend, 142ff; another problem with assessing many of these claims is that they are often given without any citation. One infamous example of outright lies is the “Zeitgeist” video (Peter Joseph, “Zeitgeist, the Movie” 2007, accessible here: http://www.youtube.com/watch?v=oZgT1SRcrKE), which literally makes up a number of its parallels (a critique can be found here: Edward Winston “Zeitgeist Part I: The Greatest Story Ever Told” 2007, http://conspiracies.skepticproject.com/articles/zeitgeist/part-one/). For example, it uses the English words’ “sun” and “son” to supposedly demonstrate that Jesus was the Sun God (despite the fact that English didn’t exist when the Gospels were written). For an argument to this effect see Michael Licona, The Resurrection of Jesus: A New Historiographical Approach (Downers Grove, IL: InterVarsity, 2010), 94ff. A number of claims are analyzed and come up wanting, or as simply inaccurate or false in Komoszewski, Sawyer, and Wallace, Reinventing Jesus, 219ff. Ibid; see also Eddy and Boyd, The Jesus Legend, esp. 139-146. McCullagh, The Logic of History, 49-52. On testing for historical credibility, see McCullagh, The Logic of History, 138ff. William Lane Craig, “Opening Statement” in Jesus’ Resurrection: Fact or Figment? Edited by Paul Copan and Ronald Tacelli (Downers Grove, IL: InterVarsity, 2000), 34ff; William Lane Craig, The Son Rises (Eugene, OR: Wipf and Stock, 1981), 127-134. Licona, The Resurrection of Jesus, 400ff. Gary Habermas, The Historical Jesus (Joplin, MS: College Press, 1996), 187-242. 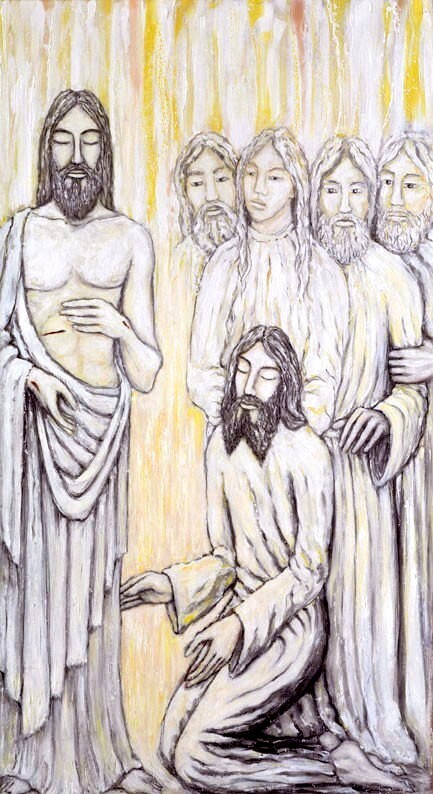 Komoszewski, Sawyer, and Wallace, Reinventing Jesus, 223-224. See N.T. Wright’s brief but devastating criticism of the “dying and rising gods” alleged motif in The Resurrection of the Son of God (Minneapolis, MN: Fortress, 2003), 80-81. Eddy and Boyd, The Jesus Legend, 136ff. 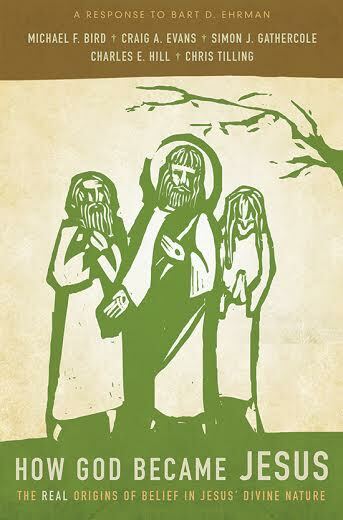 Komoszewski, Sawyer, and Wallace, Reinventing Jesus, 226ff. Ibid, 233; for even more historiographical blunders made by those putting forward this theory, see Eddy and Boyd The Jesus Legend, 134ff. The reader may not have caught the lack of citation for the notion that the Captains’ names were the same in the book Titan and the “real life” Titanic. It is that easy to sneak a claim in between the lines. The actual names of the captains were Captain Bryce of the Titan and Captain Edward Smith of the Titanic. This post is part of a series, “Jesus: The Living God.” See other posts in the series here. The belief that Jesus existed is, quite simply, historical fact. The historical figure of Jesus is beyond denial. Jesus walked on this planet. There are those who actually deny this fact. They say things about our knowledge of Jesus being derived only from “hearsay” accounts, or that the other historical sources outside the Gospels aren’t reliable because they were written after Jesus died. What people who try to deny Jesus as a historical fact don’t realize is that we have more evidence for the historicity of Jesus than we do for historical figures such as Alexander the Great. Our sources on Alexander the Great date from sources written utilizing biographical accounts about him. This is hearsay, if that is how those who want to attack the historicity of Jesus want to define such historical accounts. The sources we do have date at least 200 years after Alexander’s death (derived from Green, Alexander the Great and the Hellenistic Age, pp. xxii–xxviii). But according to the “historical standards” set by those who wish to deny that Jesus ever existed, we absolutely must accept that Alexander the Great existed either! We know of Alexander the Great only through accounts written hundreds of years after his death (scholars date the Gospels to about 70AD–40 years after the death of Jesus [see Blomberg, Craig, The Historical Reliability of the Gospels)! Sure, there are many reasons to think Alexander existed, such as the shape of western civilization, various corroborating evidence, etc… but we have reasons like that to believe Jesus existed too! The reality is that no serious scholar denies the historicity of Jesus, due not only to the Gospel accounts, but also Josephus, Tacitus, etc. Those who wish to discredit the accounts of the Gospel, Josephus, etc. should realize they should be consistent in their “historiography” and discredit the accounts written about Alexander the Great, not to mention other figures like Attila the Hun, Confucius, etc.! If this is the kind of historical relativism and denial we are forced to embrace due to the denial of the historical Jesus, then almost all ancient history is thrown into question. The fact of the matter is that the reason people try to deny the historicity of Jesus isn’t due to historical reasons, it’s either due to ignorance about how historiography operates or simply willingness to blatantly deny historical fact. For now, let us focus on the “tools for the task” (Wright, 29 and following). What kind of historical, textual means are used to talk about Jesus? I’ll be outlining views made by N.T. Wright in his The New Testament and the People of God, (hereafter NTPG) and Blomberg in The Historical Reliability of the Gospels. First, I should outline my presuppositions. I believe that Jesus Christ is Lord and Savior, whose salvation is freely available to all who believe by grace through faith (Ephesians 2:8-9). There is no other name by which we are saved (Acts 4:12). I believe that the Bible is the Holy, Inerrant Word of God. It is infallible in its teachings. Wright argues for a “critical realist” view of history. This view describes a “process of ‘knowing’ that acknowledges the reality of the thing known, as something other than the knower… while also fully acknowledging that the only access we have to this reality lies along the spiralling path of appropriate dialogue or conversation between the knower and the thing known” (Wright, 35 emphasis his). This acknowledges that observers have their own point of views, that they have their own interpretations, and that metaphysical beliefs will influence interpretation of data (36). This is vitally important throughout not just Wright’s body of works, but any historical (or other field) study–one’s presuppositions will influence how one interprets the same data. Wright argues that one primary function of worldviews is to tell “stories” (38). This doesn’t mean these stories are fiction, rather, Wright is arguing that these stories form the basis of a worldview as well as the ways the worldview will interact with other views (38-40). In the context of the New Testament, “They [first-century Jews] never expressed a worldview in which the god in question was uninterested in, or uninvolved with, the created world in general, or the historical fortunes of his people in particular” (41). It is this worldview that, upon reading more of Wright, I think Wright not only acknowledges but agrees with. God is not uninterested or uninvolved, rather, the opposite is true–God is intimately involved and interested in His creation and creatures. 1) The historical hypothesis must include the data. One cannot, for example, simply drop the eschatology which was clearly part of Jesus’ teachings as well as the rest of the New Testament, in order to make one’s hypothesis easier to produce. The data must all be included (99). 2) “It must construct a basically simple and coherent overall picture” (100). 3) The hypothesis must show that it is useful in related areas, it must explain other problems (100). It is important to realize that a simply enormous amount of material has been produced on Jesus and the Gospels, not to mention the rest of the New Testament. Thus, I will turn to Craig Blomberg’s work, The Historical Reliability of the Gospels (hereafter HRG) to analyze some of the ways this study has been done. The tools for our task (to borrow Wright’s terminology) should utilize the best available evidence from New Testament scholarship, while discerning everything in light of the truth of Scripture. Craig Blomberg wonderfully summarizes the various methods of historical criticism and analyzes them for usefulness in HRG. Note that I’m not endorsing historical criticism, rather, I’m endorsing taking what is useful from historical criticism and use it as part of the toolbox. In my summing up, I’m leaving out much of Blomberg’s task of pointing out flaws in these criticisms (which is not only in-depth, but also illuminating), but rather emphasizing his ways to use them in the presuppositions that I’ve outlined above. 1) Form Criticism- Form criticism emphasizes the genre of the work being viewed (Blomberg, 50). It also discusses how a text was transmitted or brought into being. Christians can find this useful as it can be readily implemented in the “historical grammatical” type of reading of Scriptures. The background of the text is indeed important, as well as realizing the genre involved (i.e. the historical telling of what Jesus did, as opposed to His parables, which are not literal history). 2) Redaction Criticism- Redaction criticism views the writers of the Gospels as “editors” of the New Testament, “selecting, arranging, and rewording their sources to highlight particular theological and stylistic emphases” (Blomberg, 67). Christians can utilize this not to break down the reality of the Gospels, but rather they can use it as they realize there are indeed differences in the portrayal of Jesus in the Gospels (i.e. Mark’s suffering servant and Matthew’s son of David), not as contradictions, but as parts to a whole picture of Christ as suffering servant, son of David, compassionate teacher, and Word Incarnate (74). 3) Midrash- Midrash criticism of the Gospels focus on the “relationship of the Gospels to various [Hebrew Scripture] passages to which they may refer” (75). Clearly, this has uses for the Christian. How did the writers of the Gospels utilize Hebrew Scriptures to make their arguments or draw their conclusions about who Jesus was and what He did? This is vitally important to Christological study–who did Jesus say He was, based on the passages He cites, and who did others say He was? 4) Literary Criticism- this discipline is broken down into three types, though the most useful type for the Christian is the “narrative criticism” which analyzes characters, symbolism, figures of speech, etc. within the Gospels (87). I’ve left out much of Blomberg’s analysis in order to simply sift off what we can use from these various methods, in light of the presuppositions I’ve outlined above. There is much more that could be said about either of these fantastic works (NTPG or HRG), and there is much more that could be said about the “tools for the task”, but for now, these are our tools, and I shall soon move into some of the historicity of Jesus. Blomberg, Craig L. The Historical Reliability of the Gospels. InterVarsity Press. 2007. Wright, N.T. The New Testament and the People of God. Fortress. 1992.